The Global Conference on Primary Health Care (PHC) was held in Astana, Kazakhstan from 25-26 October hosted by the World Health Organization and UNICEF. Participants included ministers of health, finance, education and social welfare from more than 100 countries; health workers and patient advocates; youth delegates and activists, and leaders representing NGOs, civil society, academia, philanthropy, media and the private sectors. UNICAMP was invited to be part of this conference being represented by Prof. Marcia Bandini, from the Collective Health Department. During the Conference, participants endorsed the Declaration of Astana that reaffirms the historic 1978 Declaration of Alma-Ata, the first time world leaders committed to primary health care. Although the world is a healthier place currently, progress over the past four decades has been uneven. At least half the world’s population lacks access to essential health services. The Declaration of Astana comes amid a growing global movement for greater investment in PHC to achieve universal health coverage (UHC). According Prof. Marcia Bandini, "the Declaration of Astana is a key element to reinforce PHC and UHC worldwide, especially if we consider 60% of the countries have faced budgets reduction in the world. 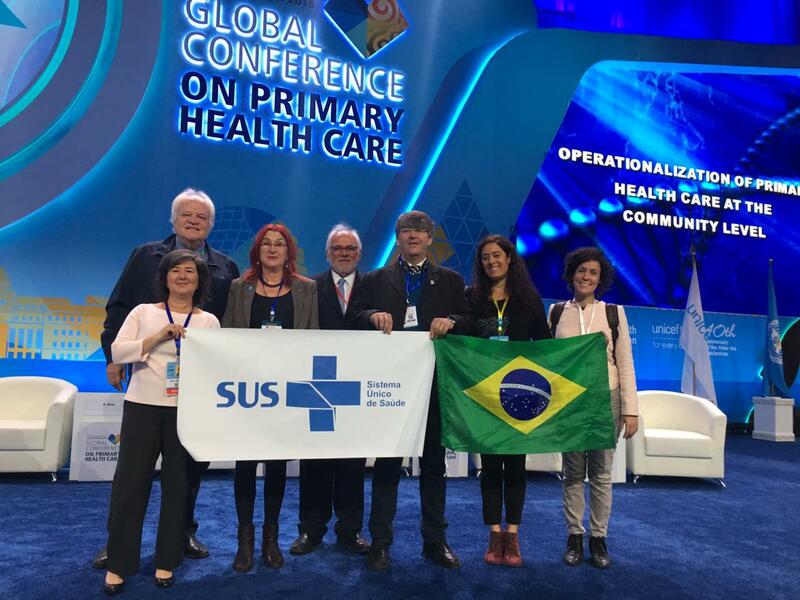 Brazil was cited as an example to be followed by many speakers due to our Family Health Strategy. We should be proud of our public health system (SUS) and be able to defend and strength it. There are many threats to be faced in the near future. It’s time to raise our voices to defend PHC in our country”. The Declaration of Astana makes pledges in four key areas: (1) make bold political choices for health across all sectors; (2) build sustainable primary health care; (3) empower individuals and communities; and (4) align stakeholder support to national policies, strategies and plans. Still according Prof. Bandini, “probably hope is the best word to express my experience during this conference. Hope requires action from all the stakeholders involved on the health system. As professors we play a key role to promote PHC and UHC”.